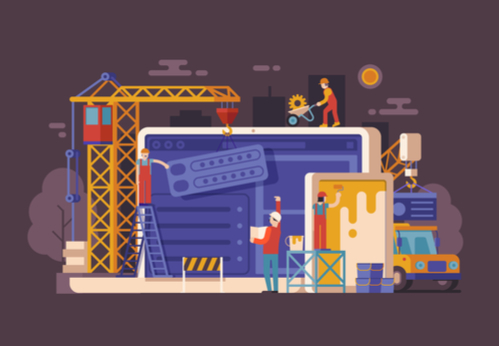 This page offers advice on how to make a website from scratch, helping you to get going in minutes with free site builders and low cost hosting and domain names. While this is a beginners’ guide helping you create your own website quickly, easily and cheaply in 2018, even those of you with some experience might find some of the tips and resources useful. The reason for this order is the type of website you are looking to create dictates what type of online platform might best suit you. It’s highly recommended that, unless you are a web developer (and for most people – even if you are), you use an online website builder so that you don’t need to learn and use coding skills. So – let’s get going with the guide! If it’s an information site, local business or service based company then WordPress is likely to be the best website builder if you are a beginner or intermediate level professional. It’s made to be extremely user-friendly. Even if you start off with a simple brochure site of just a few pages, it can easily evolve into a full-feature business website down the link by changing templates. If it’s a blog then WordPress is still a great choice for you. If you’re building on online store to sell products online, choose a dedicated ecommerce website builder that makes it as easy as possible. For most people who want to sell products online with an easy to use e-store builder then try out Shopify. It’s made for exactly that purpose, but is slick and professional enough to be used by many large online retailers as well. So if you’re creating and information site or a business website to showcase your services and encourage people to contact you, WordPress is a great choice. For this reason, almost every web hosting company supports WordPress. Many even have dedicated WordPress hosting packages to get you set up even faster. To some extent you get what you pay for with web hosting, but if you are setting up a fairly simple website (ie without hundreds of thousands of page or more and without complex levels of user access for different teams in your company) then you don’t need to spend thousands of pounds per month on hosting. A realistic budget for a small business website or a blog is around £10 / $15 per month and you can get good quality shared hosting at this price Shared hosting means that your website data is physically stored on a server along with other clients’ websites. If this is your kind of budget and / or you want to get going and think about upgrading to more powerful hosting if needed later, then Siteground is a great choice. They offer high quality hosting with fast customer support. What makes them different from many web hosts is that they also offer free SSL certificates using the Let’s Encrypt system to get the HTTPS and green padlock in the address bar. This now acts as a badge of trust and is believed to give you a slight ranking boost by Google – so a good starting point for your SEO. 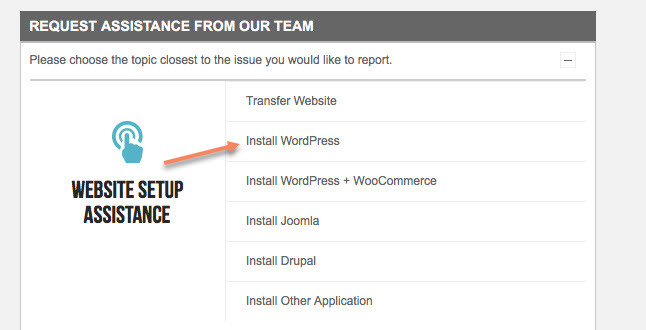 You can click here to open a new window to open a WordPress hosting account with Siteground, then continue with this guide. First of all, you will need to choose a hosting plan. 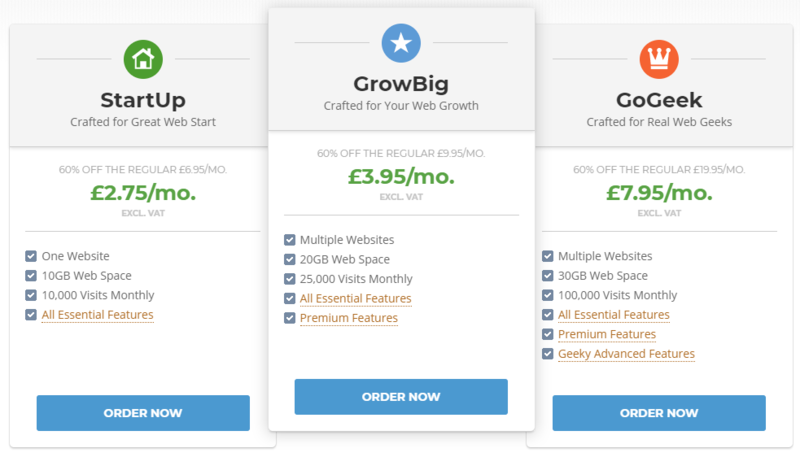 Their GrowBig is most popular and, as the name suggests, will allow you to expand your web presence with a large site or multiple websites. Make it short, so that people don’t find it annoying to type in – especially if on a smart phone. Make it easy to spell – it’ a shame if you lose visitors because people misspell or can’t remember how to spell it. Be very broad or very specific – some people want a name that doesn’t mean anything specific so that their content focus can evolve over time. For example, by changing from SEOMoz to moz.com, this digital marketing website was able to go beyond just SEO in scope and can continue to switch focus in future because it’s name now doesn’t pigeon-hole them. Think about location – if you have an international audience and may want to trade in multiple countries, it might be a good idea to avoid a country-specific suffix, such as .co.uk for the UK or.ca for Canada. Visitors from elsewhere might think your website is dedicated for that country and not click to visit your site. However if you are only interested in traffic from your own country, then such a domain name is great. For a global audience, .com is ideal, .org is good for nonprofits (although some businesses and blogs use it if the .com is taken) and .net is also an option if you can’t get the .com. Check the name isn’t used elsewhere – if you’ve found a name you like, use a search engine to check that it’s not being used by another website in the same or a similar way, which could cause confusion, and even legal issues, down the line. Different website builders, your own goals and other factors like location, budget etc may then suit a different type of hosting company. It’s often then tidier to buy your domain name from the same company you choose to host your site. You can always change host later if needed without needing to change your domain name. To set up a Let’s Encrypt certificate, log into the cPanel → Security tab → Let’s Encrypt. In this area, you can view your active SSL certificates, install a new one, cancel existing ones and enforce HTTPS for your site if it’s not already working across the site. SiteGround set up SSL certificates to renew automatically, so you don’t need to remember do it action the renewal every 3 months as you do with some hosts. Install WordPress with just a few clicks. 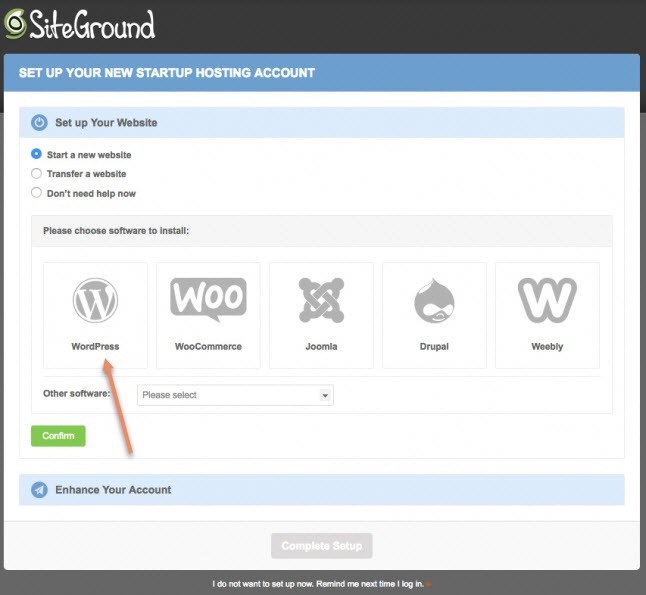 The SiteGround Account Setup Wizard helps you to set up a new website. It automatically appears as a pop-up window after first logging into the User Area after creating a new account. If you don’t yet have a website, you can start the set-up from within the Wizard. The WordPress site builder is the most popular option for creating a new website, but several other content management systems (CMS) can be set up using the wizard. You could use the Wizard immediately or select the I do not want to setup now. Remind me next time I login option. If you don’t complete the full setup process at this stage, the Wizard saves progress and stays active for 30 days after the account has been made. You can go to the right column showing important messages on the homepage within the User Area and pick things up again in there. It’s also possible to request WordPress, Joomla, Drupal and many other CMS software packages through the SiteGround support area. Just go to the User Area → Support tab → Request Assistance from Our Team → Proceed to contact us here links. From the support topic list, click the link for the software you want installed. You have just made your WordPress website and it’s now time to add some content! 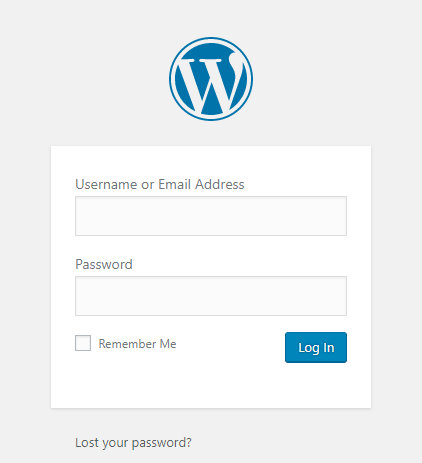 You can log in to your WordPress site using the admin username and password you entered as part of the WordPress set up process in SiteGround or whatever host you chose. Next, you can choose a web design template for your site. The appearance of a site is largely controlled by a WordPress ‘theme’. WordPress themes are web design templates with a set of pre-built functions that you can install on your website. Each WordPress site starts with a basic theme – currently Twenty Seventeen, which is the latest produced by WordPress makers Automattic. To enhance the look, there are many free and paid WordPress themes that you can install on your site. You can change theme from the WordPress Dashboard by looking at the menu area on the left and going to Appearance > Themes clicking the ‘Add New’ button. Next, you can search from thousands of free WordPress themes available in the official WordPress.org themes directory. These are sortable by featured, popular, latest and many function and design filters (eg colours, layout and more). You can filter the list by a range of criteria using the options provided or you can search for specific design elements of functionality using the search box. WordPress will show you various themes in the search results – select the one you prefer, then click on the Install button. Once you have installed your theme, you can tailor the look and feel after clicking the ‘Customize’ link under the Appearance menu. This will launch the theme Customizer where you can change your theme settings with a live preview of your website. You can change design elements here, as well as changing theme at any point in the future – it won’t affect the content or your web pages or blog posts. WordPress comes with two default content types called Pages and Posts. Pages are designed to be static content, usually always there and relevant, content such as Home, About, Contact etc. Posts are part of a blog and usually appear in reverse-chronological order – staring with the latest and working backwards. By default, WordPress shows your blog posts on the front page of your site, but you can change it in the settings so that a static Page displays instead. You can create a separate page for your blog or news section. If you prefer though, you can create a website without any blog section at all. You can start to create WordPress pages, but you don’t need to get anything perfect straight away – you can change any website content easily at any time. Head over to Pages > Add New page in WordPress admin area. This will bring you to the page editor screen. After that you can add content in the text editor underneath. You can add text, images, videos, links, audio, etc. After you’ve added some content to the page, you can click on the blue Publish button, making it live on the website. You can then repeat this process, adding further pages for other areas of your site. For example, About, and a blog page to display blog posts. Go to Posts > Add New in the WordPress Dashboard. You’ll see a similar editor screen to the one for adding Pages. Add a post title, then add content in the post editor. You’ll also notice some extra options like categories and tags to organise your posts. Click Save Draft if you want to return and complete later or click Publish to go ahead and make it visible on your site. Now that you have created some content, you can customise it to make it look good on the website. You need to visit the Settings > Reading page in your WordPress admin area. Under the ‘Front page displays’ option click on the static front page and then select ‘Pages’ you created earlier for your home and blog pages. WordPress will use the page titled ‘Home’ for the front page of your website with the ‘Blog’ page displaying the blog posts. During installation you will have chosen your site title and WordPress be default displays a tag line that reads ‘Just another WordPress site’ – you might want to change this to your business tagline or a brief sentence to explain what the website is about. You can change both your website title or tagline at any time by visiting Settings > General page. Your site title is the name of the website – eg Good Site Guide. The tag line is usually a single line that describes your website – eg ‘Build a Website that gets Results’. Click Save Settings to make the changes live. WordPress has default comment setting that allow visitors to leave comments on your posts. If moderated, this can be great for user engagement, but it is a common source of spam. Visit Settings > Discussions and scroll to the ‘Before a comment appears’ section. Check the ‘Comment must be manually approved’ box. There are a number of other filters to choose from to limit what kinds of comments, if any, can appear. Click Save Changes button to store the updates. Navigation menus allow visitors to browse around different sections on the site. WordPress comes with a highly customisable menu system to display links to guide visitors. First, visit Appearance > Menus page. Enter a name for your navigation menu and click ‘Create Menu’. You need to then select the pages you want to display in your menu and click ‘Add to Menu’. You will notice selected pages filling the navigation menu and you can use drag and drop options to move them up or down to rearrange their positions. Now you can select a display location, with your options depending on the WordPress theme. Most WordPress themes have a ;primary menu; that appears at the top of the page. Click ‘Save Menu’ to store your navigation options and visit your website to see the menu live. WordPress Plugins are like apps for your WordPress site. They allow you to add features to your WordPress site, such as calendars, contact forms and much more. There are currently more than 54,000 free plugins available for WordPress. There are further premium plugins created and sold by other websites and independent developers. If you’ve been looking for advice on how to make a website from scratch, then I hope this guide to creating a WordPress site or blog is helpful for you. Of course, there are other CMS out there, such as Drupal and Joomla for intermediate level users and expert developers, the the likes of Weebly for beginners. However, WordPress is the most popular website builder for good reason, as there are thousands of free and premium themes to make your site look great, and tens of thousands of plugins to add extra functionality. There is also a a global community of tens of thousands of expert developers and enthusiasts to help you if and when you need support to take things to the next level. This is why, as of February 2018, 60% of all CMS websites were built using WordPress. It makes sense for most small to medium size businesses and individual users, as well as many household name companies – so it should be a good choice for you to! Whatever you choose to create your website – best of luck! How to Create a Charity Website to Increase Donations WordPress Pros and Cons – Is It the Best CMS Website Builder for You?